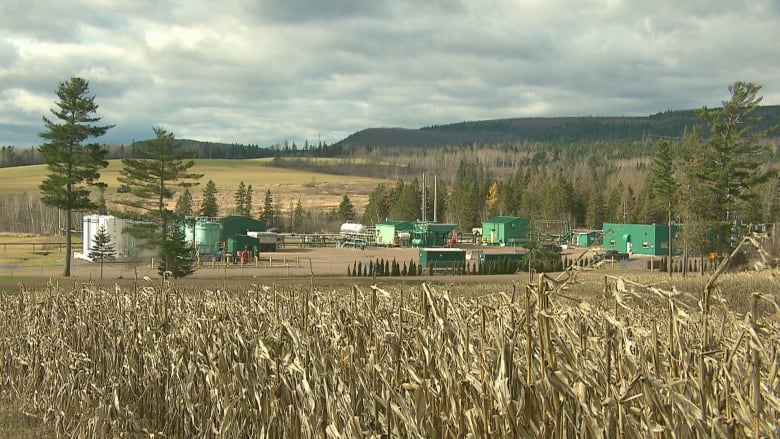 A former chief of Elsipogtog First Nation is worried the new provincial government may be about to repeat mistakes of the past that led to violence in 2013 if it forges ahead to restart shale gas wells in the Sussex area. Memories of Oct.17, 2013, remain vivid in the mind of former Elsipogtog chief Susan Levi-Peters. "When the dust cleared … after the whole take-down … it was dark, gloomy, it looked like a war just happened. It felt like we were in a different country." 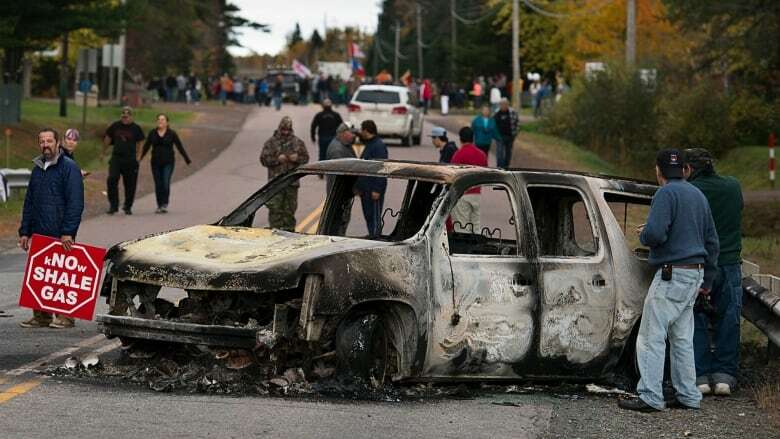 Dozens had been arrested and RCMP vehicles were set on fire after police moved to enforce an injunction against a blockade by people protesting against shale gas exploration work. "The hardest part was it could have been avoided," she said. "That's what hurt the most." Levi-Peters feels proper consultation could have made the difference. 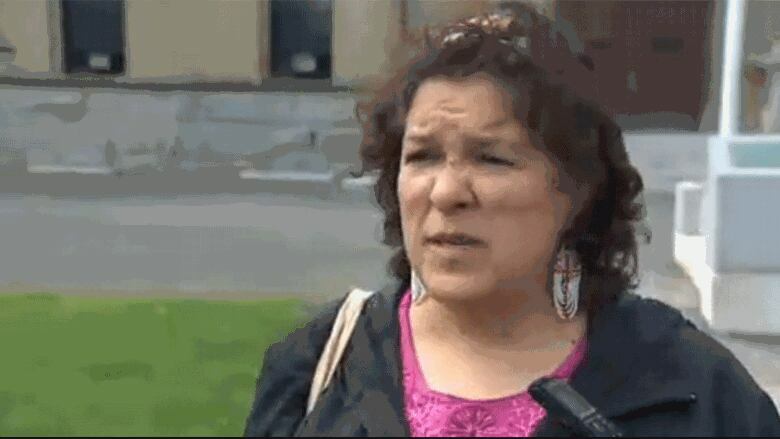 Susan Levi-Peters of Elsipogtog is urging the provincial government to hold proper consultations with Indigenous people before moving to lift the fracking moratorium in the Sussex area. "We wanted to know more. What is this shale gas? What effect is it going to have on us? … What authority does the government have to molest our land without even consulting with us or getting any consent from us?" Levi-Peters visited the Sussex area on Tuesday and spoke with students there. The Alward government maintained it had done a significant level of consultation with First Nations communities, in the form of more than a dozen workshops and meetings starting in 2012. But protests continued in the months and days leading up to October's violent clashes. Levi-Peters said she was happy when that Brian Gallant's Liberal government brought in a moratorium on shale gas work. She hoped it would lead to a permanent ban. "I don't think we need it in New Brunswick," she said. "It causes too much damage." 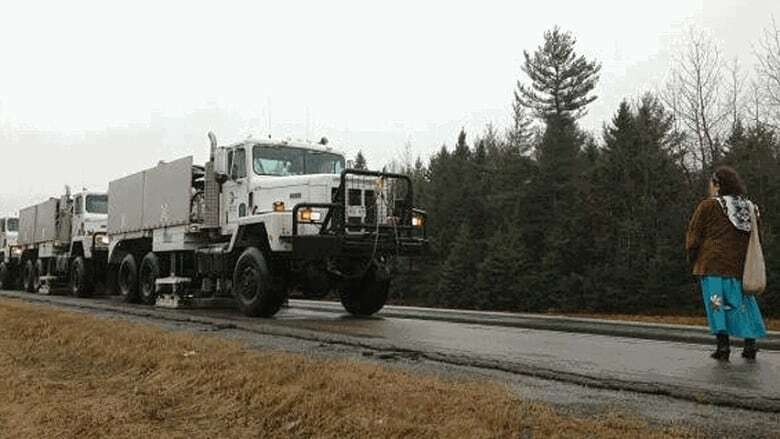 A 2016 report for the provincial government cited risks that could only be partly mitigated, including soil and water contamination, fish and wildlife harm and increased earthquake frequency. Levi-Peters said she never expected efforts to develop shale gas would be revived so soon. 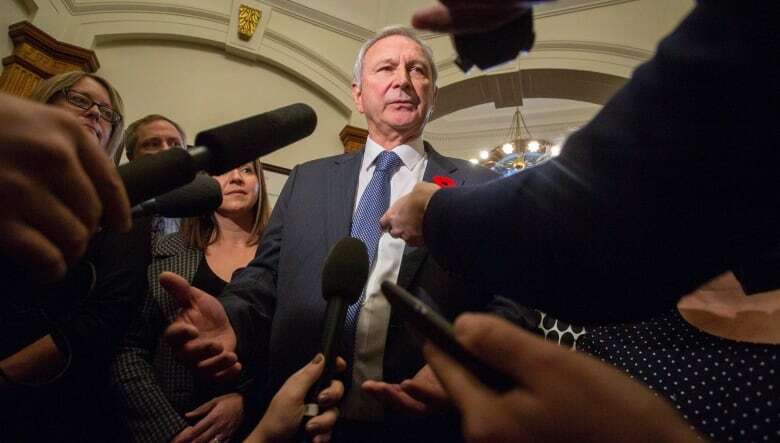 New Premier Blaine Higgs and the New Brunswick Progressive Conservative Party have said they would like to allow fracking in areas of the province where there is public support for it. Higgs has specifically mentioned Sussex, where Corridor Resources operated wells in the past. "They're starting off on the wrong path," said Levi-Peters, "like they did in 2013, they're doing the same thing." After her visit to Sussex, Levi-Peters questioned whether there is broad community support for restarting Corridor's operations. "They said that they had it there before and some waters were ruined," she said. "So they know what negativity it had, and I think they're a bit worried." Levi-Peters said she is confused about what the provincial government is actually planning. But in her mind, proper consultation means meetings are held to "share teachings" — to talk about what fracking and shale gas are, and discuss the benefits as well as the damage. "We're told legends," she said. "We're passed down stories. And one of the stories that we were told is that they're going to dig and take something from the ground that's going to cause our land to sink. And it will be gone. "We're given all those warnings as we grow up, and we need to share those with the government." Levi-Peters said she's not against development but still needs reassurance fracking won't cause irreparable harm. "Show us, show me, tell me. If we extract shale gas from here it's not going to ruin the land forever. … Nobody has done that yet." Levi-Peters said the consultation process may take six months or a year. "Then together we can decide. … We don't have to rush it. You know, I don't think anybody is going anywhere." Levi-Peters said the most important thing to her is to ensure the land is safe for the next seven generations. "It's like I told the kids yesterday, 'Your ancestors agreed, too, that you will take care of this land. That's part of the treaty. That's why they're still here seven, eight generations or a couple hundred years later.'" Levi-Peters is writing a book about her experiences with shale gas protests from 2011 to 2013. She expects it will be out before Christmas. She said she hopes government officials will read it to gain some insight and avoid repeating mistakes of the past.